Wake up to lake views from your main bedroom windows each morning. 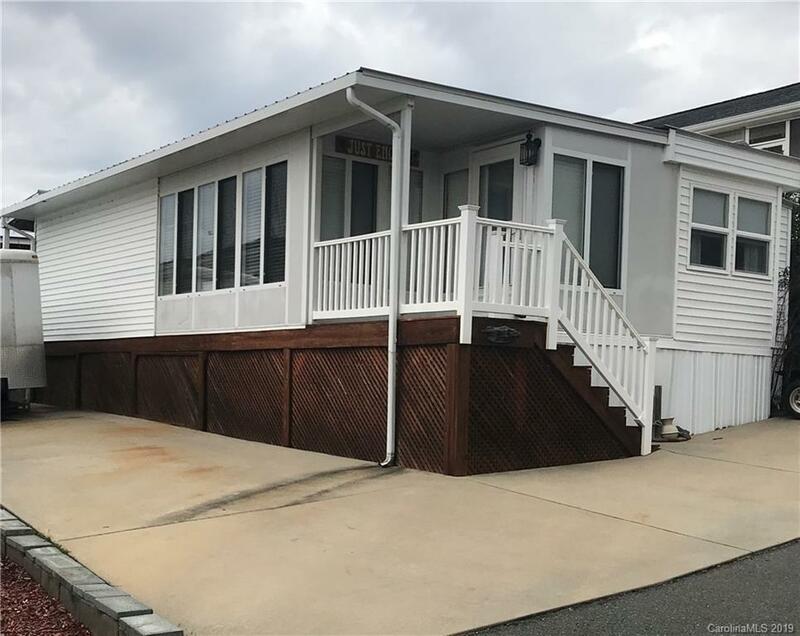 This spectacular two bedroom RV with room addition offers views from the living room addition & the main bedroom. Enjoy the back porch & rear fenced yard that also offer lake views. A great spot to watch the sunset in the evenings. Spacious concrete parking area great for parking your water craft toys. All appliances including the stack washer/dryer will remain. Most furniture will remain....bring your clothes & come enjoy the Lake life. Property located inside the gated Badin Lake Community of Badin Shores Resort. Enjoy all the community amenities..swimming pool, sandy beach, putt putt, community boat ramp, waterfront boardwalk & much more.